Ethiopia’s ruling coalition has re-elected Prime Minister Abiy Ahmed as its chairman. This means that Ahmed will continue as prime minister until the next party congress. It is with this certainty that he has taken the opportunity to reassemble his cabinet for the second time this year. The latest reshuffle has downsized cabinet departments from 28 to 20. Ten of the new ministerial appointments are women, meaning that Ahmed has achieved a 50% gender balance in his new team. This is a significant milestone. But perhaps of more importance is the creation of a ministry of peace. Ahmed has made it clear that peace is central to his reforms agenda. The new peace ministry is therefore an effort to ensure that this agenda remains on course. The question is: how effective can it be in the long run? The new peace ministry will oversee intelligence and security related agencies, federal affairs, immigration and others. It has been created with the hope that it will improve ethnic relations in the country, and work towards reconciliation among communities ravaged by unprecedented levels of ethnic violence over the last two decades. This is a broad mandate, which one single ministry might not be able to achieve. Ahmed’s intent, nonetheless, is to show his administration’s desire to pursue a peace agenda with the view to building a stable and more tolerant nation state. But his ‘peace ministry’ approach might prove problematic. Firstly, it will need to recognise the root causes of ethnic tension in Ethiopia. So far, Ahmed’s administration has continued to prioritise ethnic politics and the furthering of the rights of groups over the rights of individual citizens. This approach has historically pitted ethnic groups against each other, often resulting in inter-ethnic violence. Secondly, the power structure in Ethiopia has not changed. The ruling Ethiopian People’s Revolutionary Democratic Front remains the most powerful political force in the country. If Ahmed wants to transform Ethiopia, he must also take strides to create democratic change within the coalition. The front must embrace internal, ideological reforms for peace and security to be achieved in Ethiopia at large. Revolutionary democracy, or the idea that the enlightened élites should lead the unconscious masses to the revolution, has been the ruling coalition’s main political and economic ideology. In Ethiopia, it has prioritised the party agenda over the sanctity of the country’s constitution, which is also problematic. If the coalition refuses to expand its democratic space, Ethiopia’s history of exclusion and oppression may continue uninterrupted. The creation of a ministry to work exclusively on peace and security matters is admirable. However, Ahmed’s administration must also attempt to reform the country’s ethnic federal system of government, which is built around regional administrations. Disparities between these administrative regions pose serious challenges to Ethiopian unity. Some regions like Oromia, Amhara, Tigray and the south are considered developed. While others, like Gambella, Benishangul Gumuz, Somali and far flung regions, are still developing. This economic inequity has precipitated ethnic competition, a race for resources and evictions of people from certain areas. The ruling coalition must also look beyond the demands of survivalist politics. Ahmed and his peers in leadership therefore need to focus on legacy, rather than short-term gains. An important legacy would be the peaceful co-existence of ethnic groups, and the re-imagining of Ethiopian nationalism. This can be achieved by encouraging citizens to participate in politics, not by constraining their rights to associate freely. Thus, if Ahmed’s administration maintains a clear focus on the rights of every Ethiopian, it could end up being one of the most consequential political administrations in Ethiopia’s modern political era. All eyes are now trained on the new peace ministry, headed by Muferiyat Kamil. The former speaker of the house has a hefty job on her hands, given the high expectations that have been placed on her ministry. She is privileged, however, to have a self-professed reformist as an ally at the helm of government. The creation of the ministry has been lauded but it has also been criticised for concentrating political power in Kamil’s hands. She is one of Ahmed’s most loyal allies in the ruling coalition. Since Ahmed became prime minister he has taken great strides to transform Ethiopia’s politics. The historic peace agreement signed with Eritrea has also had a transformational effect on the greater East Africa region. Regional peace discussions are slowly being replaced with talks of economic integration. Unfortunately, Ahmed’s reform agenda has been threatened by flurries of ethnic conflict in his own backyard. Hundreds of thousands of poeple have been evicted from their homes because of their ethnicity. Going forward, this could challenge the stability of the Ethiopian state. Moreover, questions are beginning to arise about Ahmed’s sincerity and commitment to genuine political change. When 25 people were killed in Addis Ababa a few weeks ago, the city’s youth staged demonstrations to call for better security. The government responded with undue force; scores were killed and thousands stayed in unlawful detention for over a month. 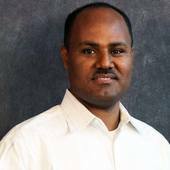 … highlights the difficulties human rights defenders continue to face despite the Ethiopian government’s stated commitment to open up space for dissenting voices. It’s safe to say that Ahmed’s push for political change is now under scrutiny. He must regroup with haste and address the injustices that have been meted out by the state infrastructure for decades.